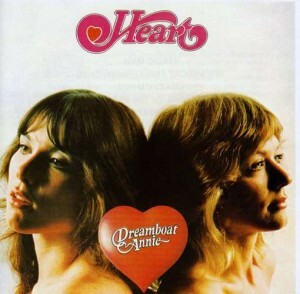 Today’s Cool Album of the Day (#590 in the Series) is Heart, Dreamboat Annie. So I bet your first thought when you saw Heart as “Cool of the Day” was something along the line of, “What? Seriously?” Well, yeah absolutely this is a cool album. When was the last time you listen to it? And I don’t mean just hearing “Magic Man” or “Crazy on You” on the radio. I bet it’s been awhile. One of the things I’d forgotten about while reading listening to “Dreamboat Annie” is that the radio friendly versions were quite shorter than the album versions, this is especially true with “Crazy On You.” I’d forgotten about the long acoustic guitar solo that opens that track. I’m pretty sure it was on my 8-track version as well! The other thing that people sometimes forget about “Dreamboat Annie” was the great contribution by guitarist Roger Fisher. Everyone remembers Ann Wilson and Nancy Wilson, and rightly so, but Roger Fisher had a lot to do with this album. 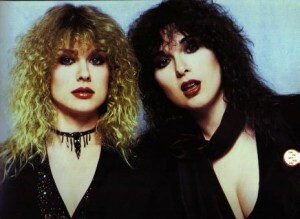 As a matter of fact, Heart was originally Roger’s band. He helped form the band in Seattle in the late 60s, the Wilson sisters joined later. 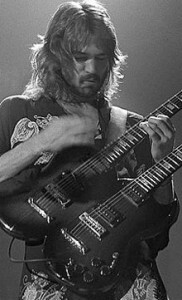 Roger was would stay with the band for three more albums he left in 1980. 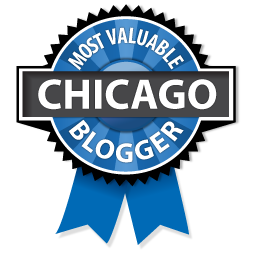 “Crazy on You” and “Magic Man” are probably the two most well-known songs here, but when I go back and listen to it again the title cut “Dreamboat Annie” and “Sing Child Sing” are two standouts as well. “Dreamboat Annie” reach #7 on the Billboard Top 200 album chart. As far as the singles, “Crazy on You” peaked at #35 on the Billboard Hot 100 chart, “Dreamboat Annie” at # 42, while “Magic Man” reached the top 10 at #9. Here’s some cool live “Dreamnboat Annie” tunes. Or maybe The Decemberists covering Heart?